Have Android devices infected with malware or Trojan is indeed a frustrating thing. Moreover, this malware infection can cause your Android device to respond very slow, stuck at different screens and disrupt the activities of your smartphone. There are many ways that you can have a malware-free device, one of which is to pay any anti-virus or malware removing apps to get rid of the malware. However, there are other ways that you can delete the Trojans and make your smartphone work properly without having to pay and could easily try even if you are not a techie. 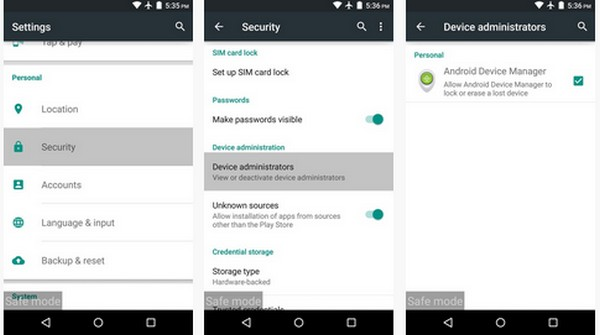 You can easily remove malware from your Android device with these simple ways. First of all, you have to boot your Android device in Safe Mode. Because in Safe Mode, you can turn off all third-party applications and processes which are running at the background, including malware. To get into Safe Mode , you can press the 'power button' in order to reboot your Android. When the "Power Off" appears on the screen, then long press "Power Off" it will open the popup menu of "Reboot to Safe Mode". Do you want to reboot into safe mode? This will disable all third party applications you have installed. They will be restored when you reboot again. After that, you can select "OK" on the pop-up. If the existing malware on your Android device does not allow you to Reboot to Safe Mode, mentioned above. Then it is a bad news for you, make a backup of your contacts, messages, emails, notes, reminders, application data if possbile, because now you have to Rest your phone. You can remove the battery and put it back in your Android device to perform Hard Reset. For Android devices with a battery that can not be removed, you can do a Hard Reset by pressing and holding the button Power for 10 seconds. If not successful, you can press the Power and the Volume Down for 10 seconds simultaneously. After that, when the device you boot the device, then you need to quickly press and hold both the 'volume' to get into Safe Mode . However, for older Android device, you can press the 'Menu' button on your device. You can determine the success or failure get into Safe Mode to see the words 'Safe Mode' on the display screen in the left bottom corner of your screen. After that, you can go to Settings and choose Apps / Applications / Application Manager. Then, you can find malware in the 'Downloaded'. Once inside, you scroll down to find applications that are unknown to you. Because the applications are unfamiliar possibly are such malware. You can search for unknown applications on Google that are safe to remove. After that, you can select 'Uninstall' the application. If there is no option for 'Uninstall' there is a possibility of the application has been activated as an administrator on your device. For that, you need to disable the function for the 'Uninstall' earlier foreign application. How to turn it off, you have to go back to the main settings, then you can select 'Security'. From here, you can go to the option 'Device Administrator' and check the box next to. After all of the above you are doing and have removed the malware, then you are safe to reboot your device. After his reboot your device, your device will automatically exit Safe Mode and it will work normally again. Well, this way you can use to 'cure' the infected Android devices with malware, or you can help your friends as well. 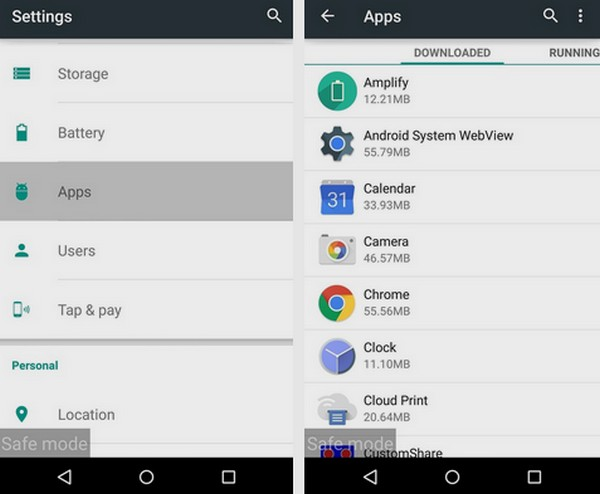 Always use Google Play Store to install the apps and make sure to turn on Automatic updates for third party apps. There are bug fixes in apps to secure your device from malware attempts. 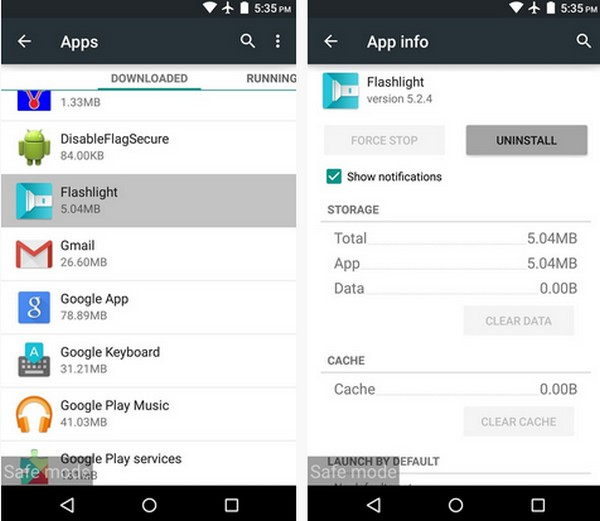 Apps downloaded from Cracked, Nulled or Pro APK App Websites may not be safe for your Android Device. They might steal your data, slow down the mobile or might even crash your device completely. Always read the comments on Google Play Store before installing the app. Number of downloads, stars and rating will guide you the app being trust-able or not.